Public consultation on anti-democratic trade deal – a sham? The European Union’s trade commissioner, Karel De Gucht, reckons he’s going to consult the public over the controversional Transatlantic Trade and Investment Partnership – the EU/US free trade agreement. He says he is determined to strike the right balance between protecting EU firms’ investment interests and upholding governments’ right to regulate in the public interest. Bear in mind, this is for the investment part of the deal, which includes investment protection and the red-hot disputed subject of investor-to-state dispute settlement, where firms would be allowed to sue governments if regulations got in the way of their profits, as the deal currently stands. A proposed text for the investment part of the talks will be published in early March. “Governments must always be free to regulate so they can protect people and the environment. But they must also find the right balance and treat investors fairly, so they can attract investment,” said Mr De Gucht. “Some existing arrangements have caused problems in practice, allowing companies to exploit loopholes where the legal text has been vague. 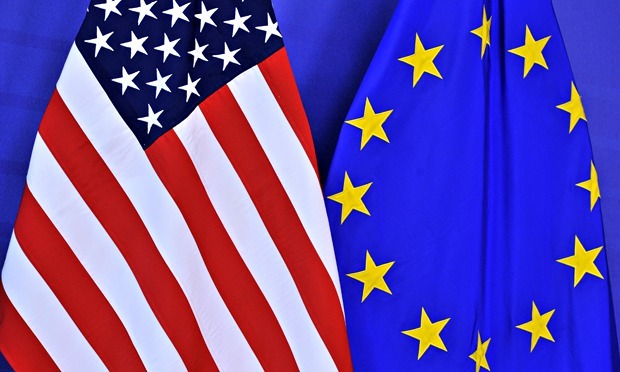 The European Commission wants to use TTIP to improve provisions already in place that protect investments by EU-based companies in the US, and vice versa. In practice, we are told, there would be a require for this protection to defer to states’ right to regulate in the public’s interest. There would also be new and improved rules, including a code of conduct, to ensure arbitrators are chosen fairly and act impartially, and to open up their proceedings to the public. This comes after significant unrest about arbitrators being chosen exclusively from big business, with a natural bias towards the interests of their employers. It seems “no other part of the negotiations is affected by this public consultation and the TTIP negotiations will continue as planned”. Is this the only part of the deal that affects the public interest, then? I don’t know. The TTIP negotiations have been shrouded in mystery since they began last June. Can anyone outside the talks – and those taking part are sworn to secrecy – say they are an expert? Since the talks began, the Commission has held three rounds of consultations with stakeholders – big businesses operating in both Europe and the USA “to gather the views and wishes of the public and interested parties across Europe”, it says here. “The Commission has also done public consultations before the start of the TTIP negotiations.” Have you taken part in any such negotiations? The rationale behind the talks is that the EU is the world’s largest foreign direct investor and the biggest recipient of foreign direct investment (FDI) in the world, so it must ensure that EU companies are well-protected when they invest in countries outside the EU. This involves reciprocal agreements to protect foreign companies. “Investment is essential for growth, for jobs and for creating the wealth that pays for our public services, our schools, our hospitals and our pensions,” the argument goes. But who gets the wealth? The people who work to make it – whose living and working conditions are likely to be reduced dramatically to lowest-common-denominator terms? Or the company bosses who are ironing out the terms of this agreement while most of us are being told to look the other way? Let’s look at an example of this in action. 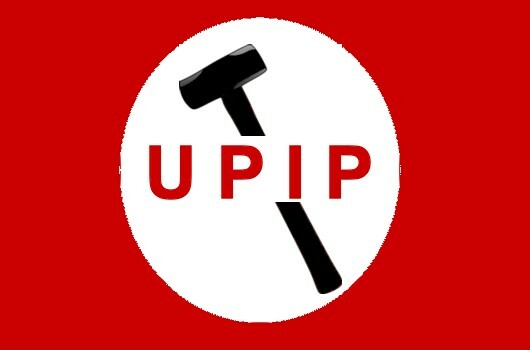 According to OpenDemocracy.net, the TTIP talks “could see England’s NHS tied into a privatised model semi-permanently. 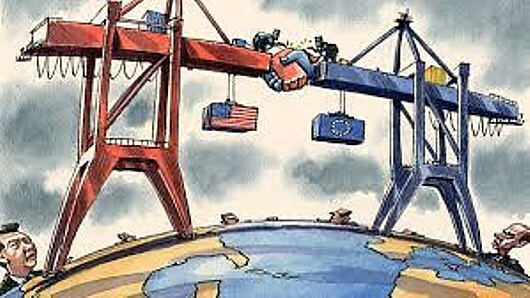 “A US/EU Free Trade Agreement… will ‘dismantle hurdles to trade in goods, services and investment’ and ‘make regulations and standards compatible on both sides’. “The EU has already stated that ‘certain “sensitive” sectors will require more negotiation’ but that ‘no sectors would be excluded from the deal completely’. 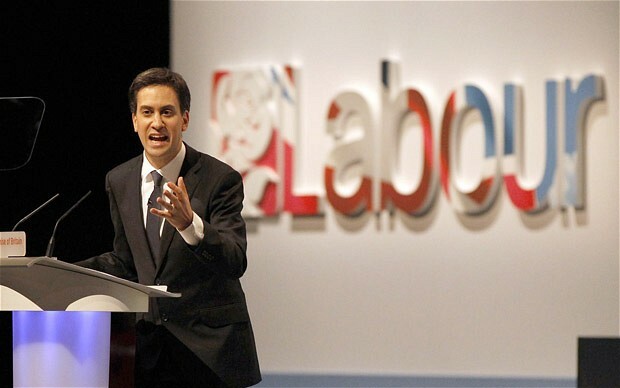 David Cameron has stated such an agreement is one of his key aims during the UK’s leadership of the G8 group this year. “The Health and Social Care Act’s Section 75 is an example of legislation guided by the principles of this overarching trade agreement. It breaks the NHS up into little parcels (the CCGs) that must offer their contracts to any willing provider. If a private provider feels they have been unfairly excluded from a contract, they can use Section 75 to take legal action… This legislation may have been written specifically to pave the way for international free trade involving the NHS. “The idea [is] that the Health and Social Care Act was developed to allow foreign transnational corporations to profit from NHS privatisation. The article demands that the government must be clear with the public – will our health service be opened to multinational business as part of this trade agreement? Leftie politics sheet the New Statesman agrees: “This will open the floodgates for private healthcare providers that have made dizzying levels of profits from healthcare in the United States, while lobbying furiously against any attempts by President Obama to provide free care for people living in poverty. With the help of the Conservative government and soon the EU, these companies will soon be let loose, freed to do the same in Britain. “The agreement will provide a legal heavy hand to the corporations seeking to grind down the health service. It will act as a Transatlantic bridge between the Health and Social Care Act in the UK, which forces the NHS to compete for contracts, and the private companies in the US eager to take it on for their own gain. “It gives the act international legal backing and sets the whole shift to privatisation in stone because once it is made law, it will be irreversible. “Once these ISDS tools are in place, lucrative contracts will be underwritten, even where a private provider is failing patients and the CCG wants a contract cancelled. In this case, the provider will be able to sue a CCG for future loss of earnings, causing the loss of vast sums of taxpayer money on legal and administrative costs. Would you like your MEP to speak up for you – in other words, to do what he or she was elected to do and actually represent your interests? Then why not get in touch and ask why they’ve been so quiet about this for so long? It’s easy – you can find their contact details here. The EU has released a ‘factsheet’ summarising how it would like you to understand changes to existing investment protection rules and the ISDS system. The previous Vox Political article about TTIP is here.